What is a Patient Centered Medical Home, and How Can It Affect You? The NCQA Patient-Centered Medical Home™ (PCMH™) is a model of care that puts patients at the forefront of care. Patient Centered Medical Homes build better relationships between people and their clinical care teams. Improve Quality: Patients get the treatment that they need, when they need it. Reduce costs: They prevent expensive and avoidable hospitalizations, emergency room visits and complications. This is especially true for patients with complex chronic conditions. 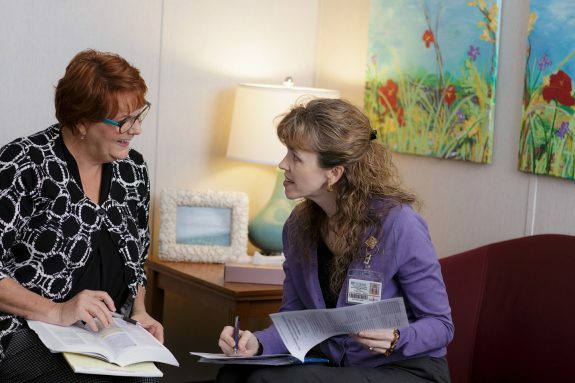 Improve the patient experience: They provide both the personalized, comprehensive coordinated care that patients want, and the system and structures that help staff work more efficiently. You will have access to better coordinated, more comprehensive and personalized care. You will have access to improved medical care and services. Our team will work with you to improve outcomes of chronic conditions. You can expect a commitment from your team to understand your needs. You can rely on communication being effectively delivered to you and your team, through telephone call, secure email messaging through our Patient Portal, and scheduling appointments with your Primary Care Provider. You can count on having a plan of care from your Primary Care Provider after each visit in order to achieve your goals. Our Providers are always available to you. Even after hours, you will always get an answer to your concerns. You will be provided with guidance throughout your healthcare to access services, either from our office or with specialists. You will be offered better care that is managed between your Primary Care Provider, hospitals, and specialists.